Edgefield County will be holding a summit, “Elevating Edgefield County”, on September 20, 2013 at Piedmont Technical College in Edgefield from 8:00 am to 1:00 pm. to address how to improve Edgefield County, with a focus on economic development. Economic development is a key focus in Edgefield County’s Strategic Plan as it impacts all areas of life, including commercial business, industries, and population growth of Edgefield County. The current Strategic Plan can be viewed on the Edgefield County Government website. The Summit will feature guest speakers, including Carol Johnson, who is the founder of a professional consulting company that specializes in economic development, chamber and leadership training. Ms. Johnson will address steps to winning in economic development, as well as help our citizens plan on how to prepare for greater success in Edgefield County. All citizens are encouraged to attend; there is no charge. 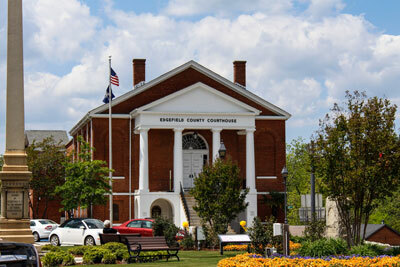 The County wants everyone’s input to ensure the advancement of Edgefield County and, in turn, improve the quality of life for citizens. To sign up for the Summit or for further information, please contact County Administration at 803-637-4000, ext. 10. The Summit is being sponsored by Aiken Electric Cooperative, SCE&G, and the Economic Development Partnership.